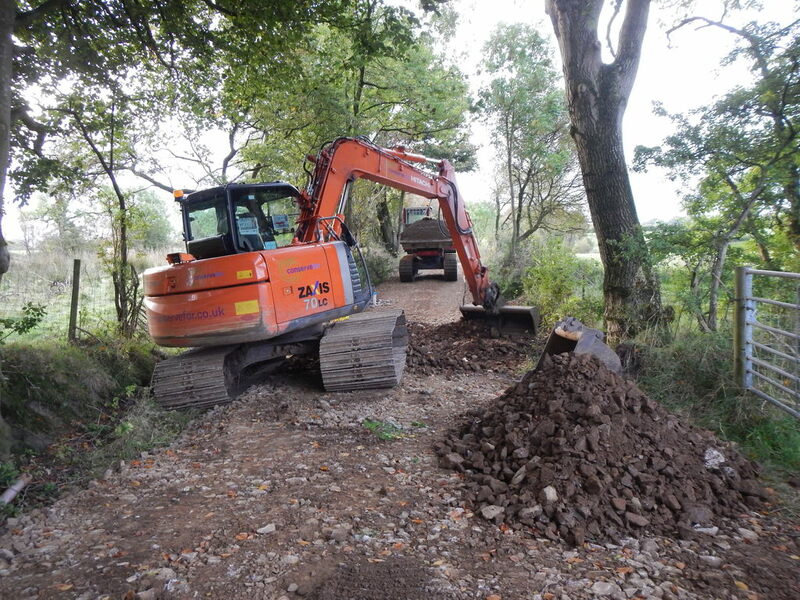 As a leading access road construction contractor, Conservefor, were appointed by Natural England to upgrade a section of track to allow access for plant & machinery onto Bolton Fell Moss. 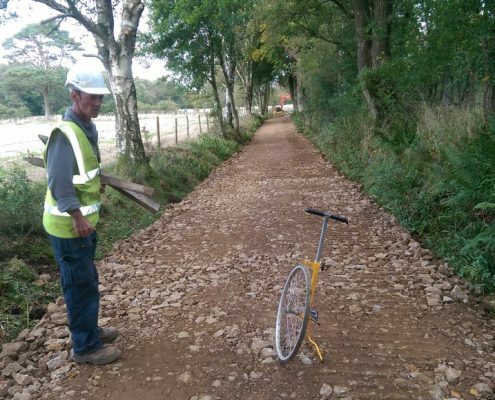 Following award of the contract risk assessments and method statements (RAMS) for the work were submitted and approved by the project officer. 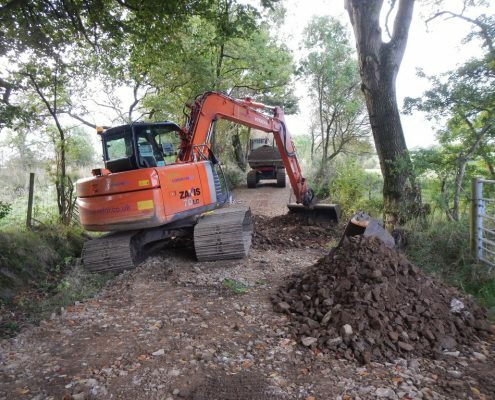 To ensure we completed the work within the specified time we appointed a subcontractor to clear trees and shrubs along the entire length of the access road. On completion of the vegetation management we deployed the team to construct a 20m x 20m compound areas which was fenced and gated. 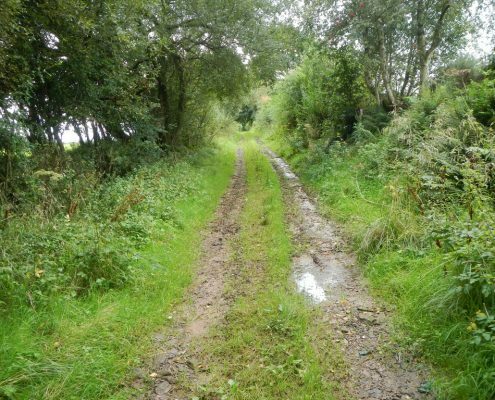 This area was used for Welfare facilities and storage of all plant and materials for the duration of the contract. The client requested that this compound remain in place at the end of the contract to be used as a parking facility. 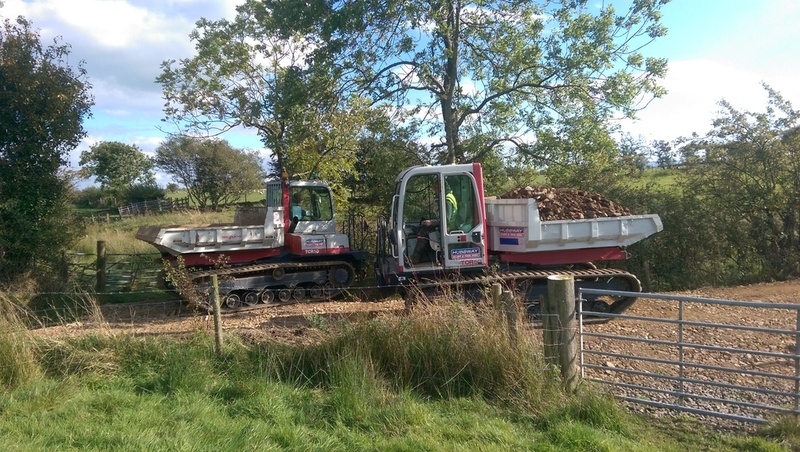 Access road construction contractor Conservefor imported road building aggregate from a local quarry and construction work began. 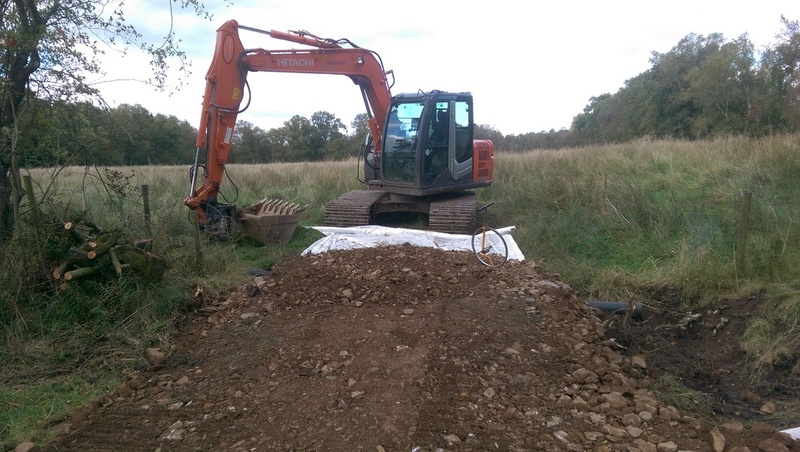 Initial preparation work included repairing and upgrading the existing culverts and clearing and installing new drainage ditches adjacent the track. 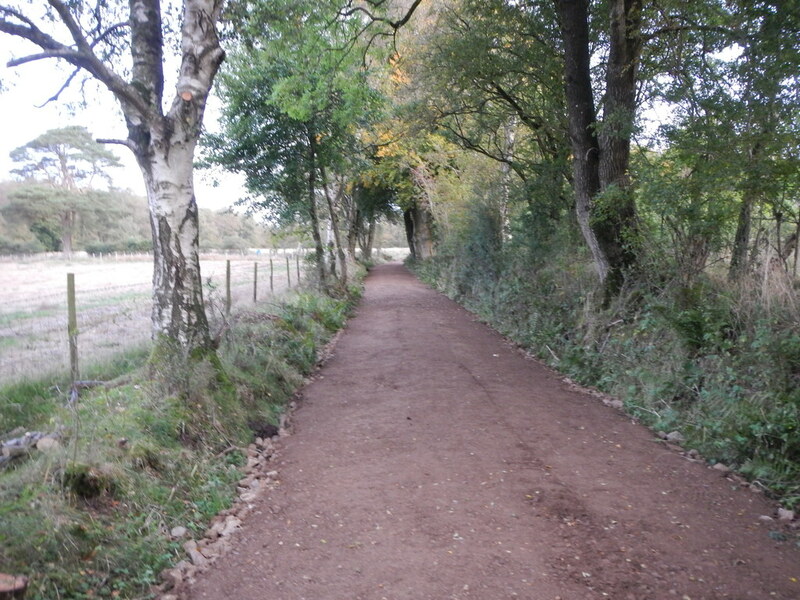 The existing rutted track was levelled and a geotextile membrane then laid over the surface. 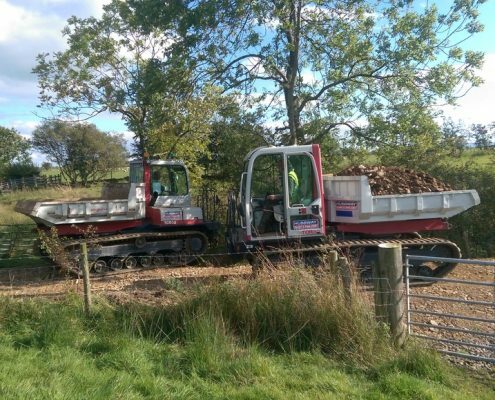 Five tonne tracked dumpers imported aggregate from the compound site and tipped it directly onto the geotextile which was levelled and graded by a 360 tracked excavator. The old lane was very narrow so the tracked dumpers over tipped and drove on the subbase as the track was being constructed. 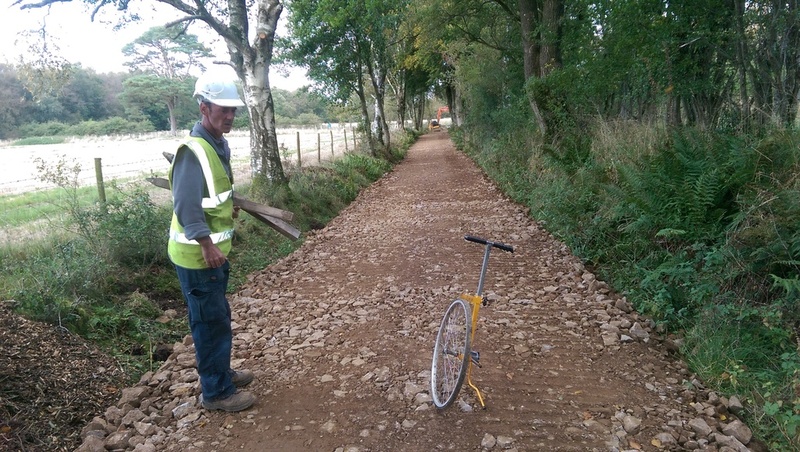 This method of construction was followed until the entire section of trail to be upgraded was completed. 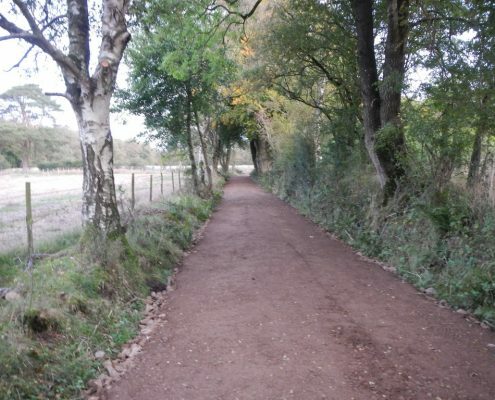 On completion of the subbase we used a 20mm to dust material to top dress the entire track which was rolled and compacted. 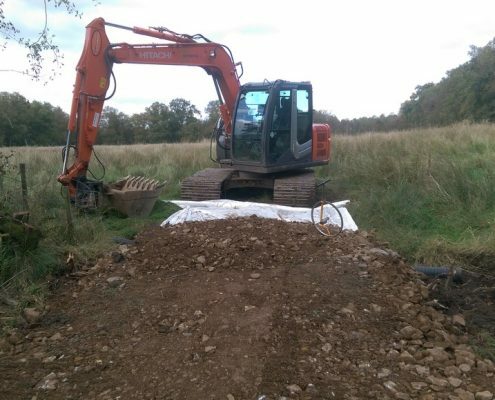 The final element of work included the installation of three field gates and all associated fixtures and fittings.